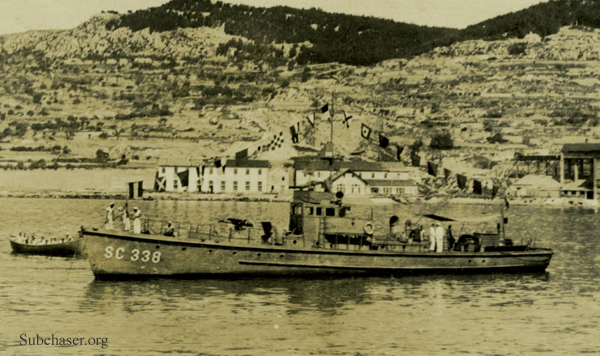 Submarine chaser SC 338 was stationed at Base 25, Corfu, Greece, with service on the Otranto Barrage. SC 338 participated in the Durazzo Bombardment on 2 October 1918: CO: Ensign John M. Beverly, USNRF. Ex.O. : Ensign Thomas T. Bissel, USNRF. 1. 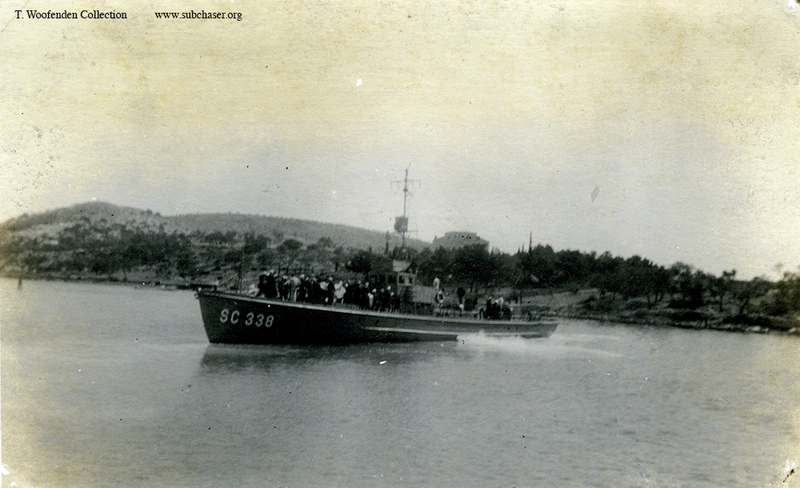 Submarine chaser SC 338. underway. T. Woofenden Collection. 2. Submarine chaser SC 338 at Spalato, 4 July 1919, shown in dress colors for Independence Day. T. Woofenden Collection.